Cornwood Road ~ Chaddlewood, Plympton, Devon. 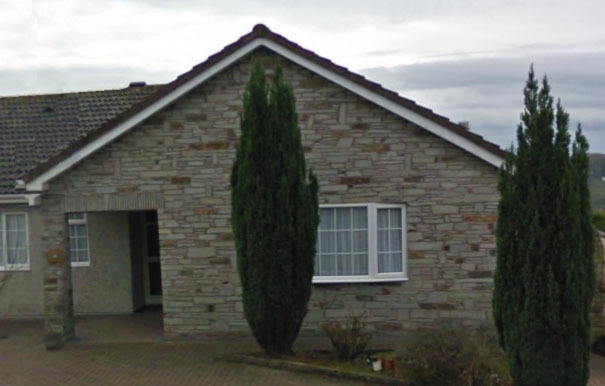 This is a new bungalow where we built some elevations using four inch cut stone from Lantoom Quarry based at Dobwalls in Cornwall. 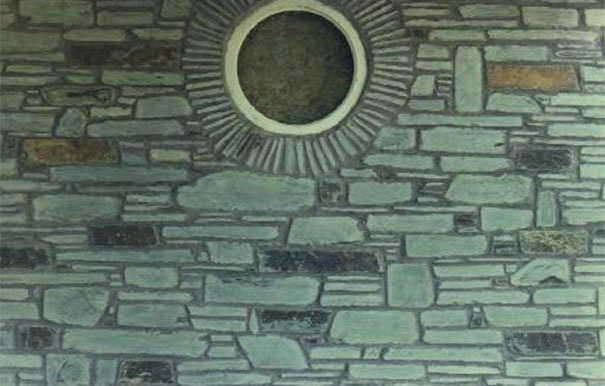 Lantoom stone has been variously described as slate, killas, shale and mudstone and anyone of these descriptions can be used when specifying this stone for building projects. It was formed about 395 million years ago during the ‘Devonian Period’. The natural rustic face of this stone varies in colour from brown, red, bronze and even black. Water draining through fissures in the stone over millions of years have deposited numerous minerals over the cracked faces of the stone to give it its colouring. When cut the stone is a pale blue / grey in colour. The bungalow incidentally, is constructed over an old reservoir once used by South West Water.